If you are looking for Professional Cruise Services in Chhattisgarh, ASHISH TOURS & TRAVELS is the name to rely. 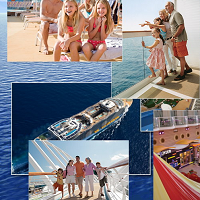 We offer these Cruise Services keeping all your travel requirements in mind. All you have to do is discuss with our experts about your specifications and we promise to serve you in the most expected manner. Moreover, availing of our Cruise Services doesnâ��t put too much burden on your pockets as it can be availed at very moderate prices.